Greetings dear Morlocks! 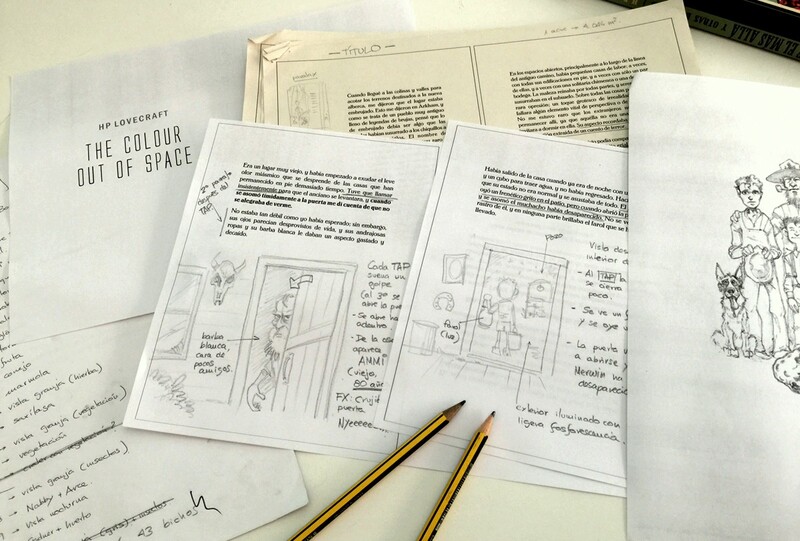 We are in the process of producing our new iClassics: iLovecraft 2 – The Colour Out of Space and this time we want you to accompany us along the way. 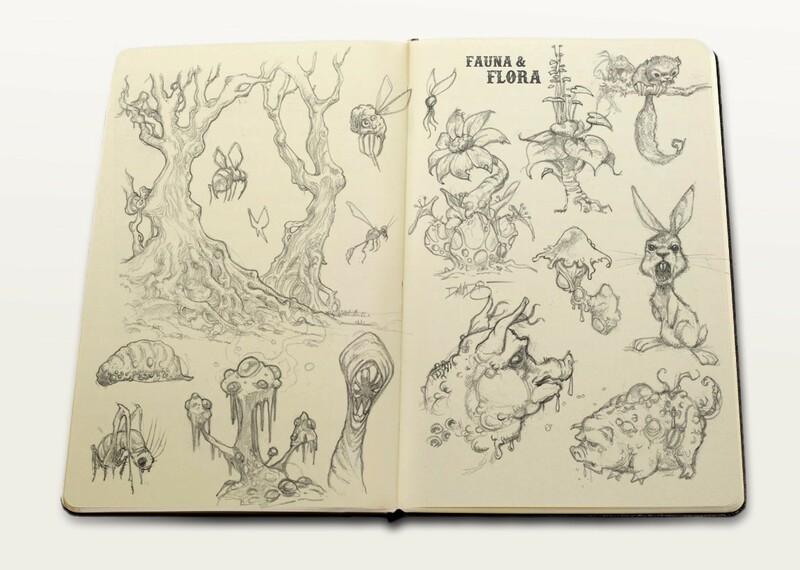 In this and successive posts, we will share with you small samples of the creative process, from sketches, curiosities, illustrations, to the development of animations, programming and creation of the soundtrack. 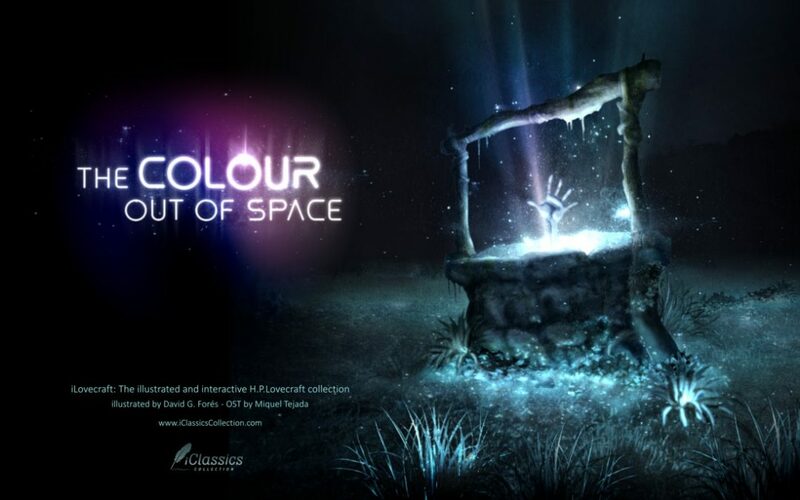 After more than a year we return to the universe of Lovecraft, with the story “The Colour Out of Space“, which again will be illustrated by David G. Forés with Miquel Tejada in charge of composing the Soundtrack (the same team as ILovecraft vol.1). “The Colour Out of Space” (1927) is one of the best stories written by Lovecraft in which the genres of science fiction and terror are masterfully combined. But perhaps what makes this story unique is that horror is defined as a chromatic element that stalks and threatens the protagonists of the story, something really innovative for a time when the horror stories were based on vampires, ghosts and other more conventional monsters. The first step to constructing an iClassics (once I decide the story) is to script it: that is, decide the layout of the pages, which scenes are going to be illustrated and the interactions that will be in each one of them. It is a laborious process, since the objective is that all the actions carried out by the user help to get into the story, to get as immersive an experience as possible. The entire process involves a lot of trial and error, in which many of the ideas are discarded, because the result is the exact opposite of what was intended, misleading the reader instead of enhancing the text. 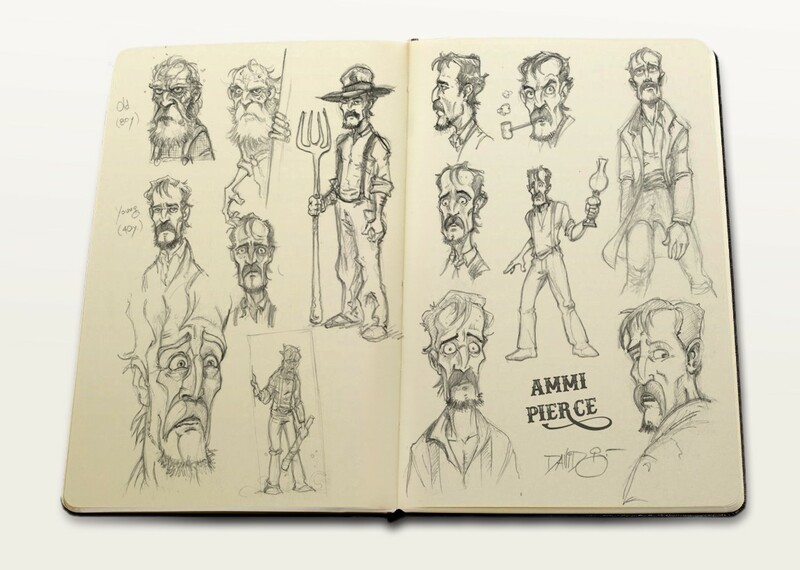 Once we’re satisfied with the script, we start with the initial sketches and the search for the characters. 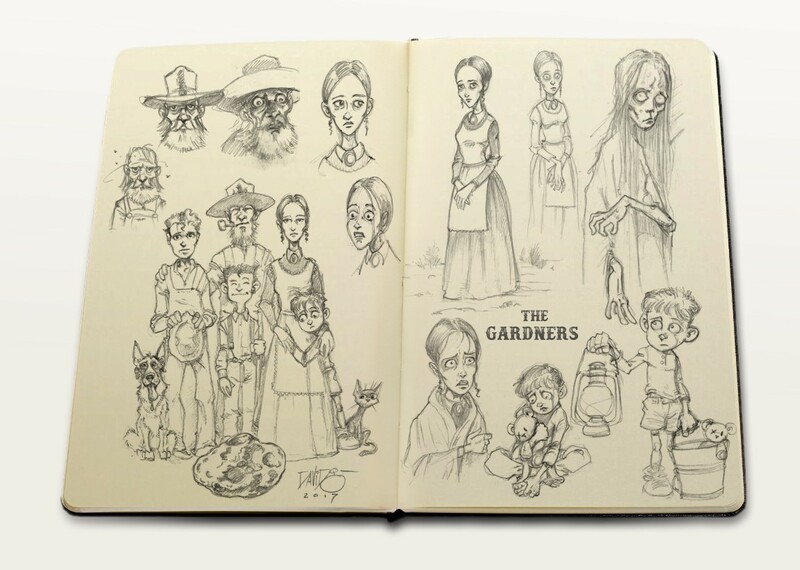 David has spent more than a year combining the script and illustration with the story, along with the creative direction of the rest of the iClassics collection. 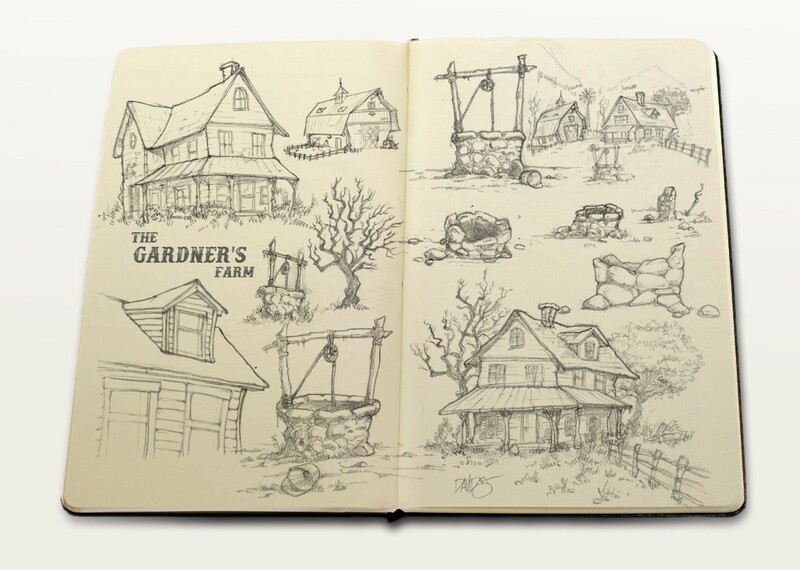 His notebook is full of notes and sketches of the characters. Here is a small sample of some drawings that will end up taking life in the different phases of the process. See you in the next post, where we will show you more details of the process. Cthulhu Fhtagn!